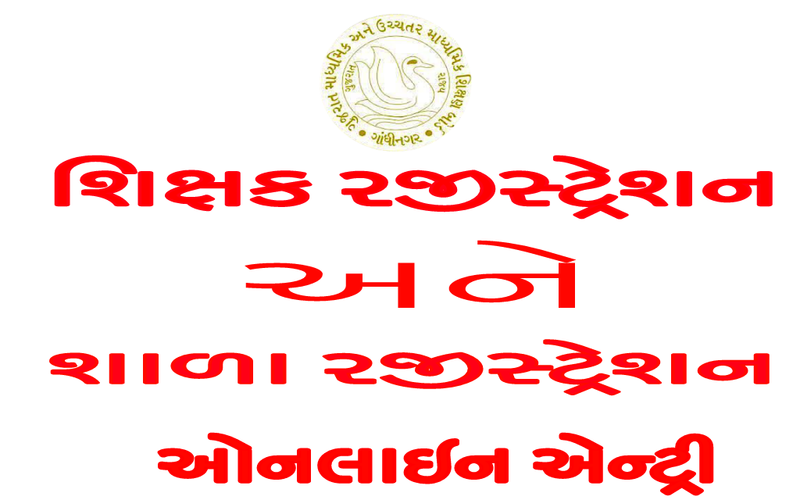 GSEB Teacher Registration School Registration Online Entry Paripatra. It is introduced for easier and faster communication between Schools, GS & HSEB and DEO Offices. Each School, DEO Offices and Users at GS&HSEB will have Unique Username and Password to access this Online System. These pages are designed to get specific detail about teacher , his/her personal details, about the graduations , Institutional experience, achievement & penalty related information if any s and exam information can be filled by navigating through these pages. School has to update their teachers details in acceptable defined period from Education Board. After some stipulated time period decided by Board DEO will verify information. If DEO finds any information wrong he has rights to update details. After DEO verification Board will also verify school details. When you first access this teacherreg.gseb.org You will enter to welcome page of Teacher Registration Application. After clicking on "School login" link ,it will open login page in new window. Each School will have their independent Username and Password. Login with Username which is your school Index No. Enter Index No and Password . Click on Login button. It will redirect to Application. Note: School can login to teacher registration only if school has authenticated in school registration for current Academic year. After successfully login in, you will enter to home page of Application. It will display list of teachers record of that particular school. Here you can search individual teacher record by his/her name . This page appears with information of Teacher's Name, Date Of Birth , Graduation , Experience,Image , Bank Detail, Marks of Preferable Subject- 1 and Subject-2 etc as you have already filled some details. School can also view status either "Incomplete Record" or "Complete Record" of teacher's detail whether he/she has completed his information or not. Below Criteria For record "Incomplete Record"
As Shown in image this Page shows total no of teacher are existing in the school.